Rombouts from Belgium is coffee roaster and total supplier for the food service and other industries. 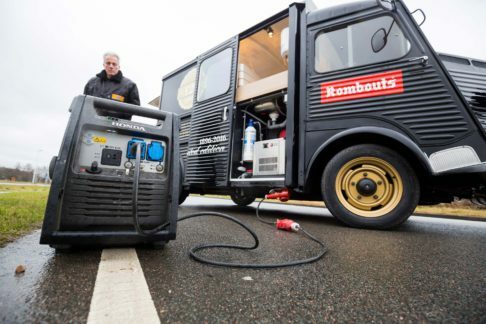 Objective of the coffee food truck is brand activation and sales on events and exhibitions. 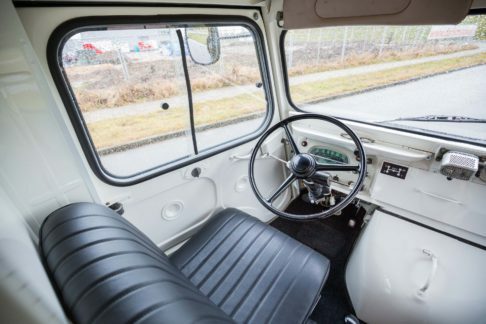 The choice of the iconic Citroen HY was already made since Rombouts distributed their products in former ages with this model. To optimise the operational reliability of the HY, nothing was left to chance. The vehicle has been revised completely. Next to that we raised the roof and extended the vehicle. A lot of care and attention was given to displaying Rombouts’ quality, both in looks and technics and functionality of the truck.